The fifteen-year-old narrator of this ostensible murder mystery is even more emotionally remote than the typical crime-fiction shamus: he is autistic, prone to fall silent for weeks at a time and unable to imagine the interior lives of others. This might seem a serious handicap for a detective, but when Christopher stumbles on the dead body of his neighbor’s poodle, impaled by a pitchfork, he decides to investigate. 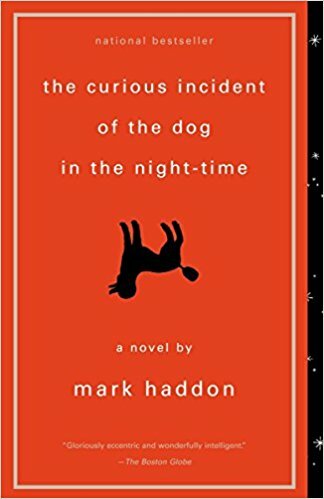 Christopher understands dogs, whose moods are as circumscribed as his own (“happy, sad, cross and concentrating”), but he’s deaf to the nuances of people, and doesn’t realize until too late that the clues point toward his own house and a more devastating mystery. This original and affecting novel is a triumph of empathy; whether describing Christopher’s favorite dream (of a virus depopulating the planet) or his vision of the universe collapsing in a thunder of stars, the author makes his hero’s severely limited world a thrilling place to be.